Tag Archive | "duncan edwards"
Like 1966, I won’t write too much here. That terrible day robbed football (not just English football) of great players like Duncan Edwards. It is a point of conjecture to wonder what England would have done at the World Cup in 1958 or 1962 with Edwards and co in the side. Edwards is the great mystery here, of course: just how good would he have become? How would Bobby Moore have fitted into an England side with Edwards already in situ? And what about George Best playing with a fully developed Edwards plus Charlton and Law (I’m assuming that Tommy Taylor would have moved on by c.1964)? England lost the spine of their side at Munich: Roger Byrne, a defender best compared to Rio Ferdinand in style and ability; Edwards; and Tommy Taylor, the best centre forward in England since Dean. With the World Cup in Sweden on the near horizon, these were exciting results. The defence had pulled itself together, and up front, England were scoring at an average of more than three goals per game. Even bare football stats can be memorials to the dead. 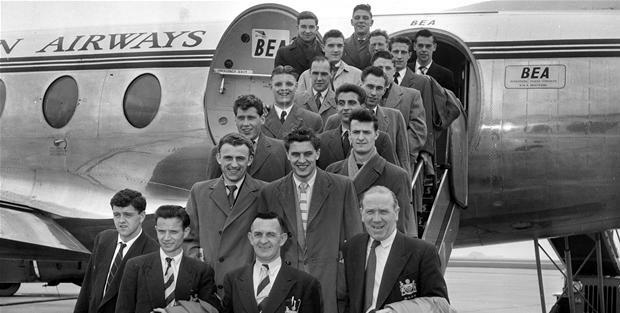 By 1963, England’s top players would have been well used to foreign travel. They were familiar with the routine and experience of flying, so Ramsey’s first fixture shouldn’t have posed a problem just because it was an away friendly. But it was an away friendly in Paris, that most unfriendly and unEnglish of cities. It smelt of drains. There were French cars in England of course, but not so many, and not carrying those alien licence plates. And the food, the bathrooms: you can travel a lot further, and feel a lot more familiar. And the manager was new, and, it soon became clear, quite the xenophobe. He was young, too: nine years before, they’d turfed him out of the England team after that display against the Hungarians. Since then, all he’d done was Ipswich: and, as a look round the dressing room revealed, there were no Ipswich players here. Just the usual blokes, a little louder than usual, sitting a little closer together than usual. Munich was almost exactly five years ago. Since then, England teams had been drawn from lesser sources than United. Great, gallumphing Wolverhampton Wanderers; ambitious, modern little Burnley; lucky champions Everton. And Spurs, a team of ex-pat Celts plus Smith and Greaves. Bobby Moore was there, looking like he’d fallen out of a spaghetti western into Duncan Edwards’ boots. He was only 22, and his first England experience had been the 1962 World Cup. He’d been someone Winterbottom had been able to protect from the vagaries of the selection committee. Ramsey had seen him play, well, against Wales in November. So Moore was in Paris, and it was a disaster, and England lost 5-2. Lose to the French first, said Ramsey’s ghost to the sleeping Capello, and then beat the Germans in a friendly. It’s what Ramsey did, at any rate, but first he got all kinds of things out of his system by losing to the Scots. Nobby Stiles would say later than Alf Ramsey could get a man to feel like a giant. It was true, but the first player to feel the bad brylcreem roaring through his football veins was Jim Baxter. What was it between Baxter and Ramsey? Slim Jim would always turn it on for Alf, and in Ramsey’s second game, Gordon Banks’s debut, he’d scored twice before half time. Then came the 1-1 against Brazil, then, as now, a good enough result. But it left England with what amounted to one point out of Ramsey’s first three matches. They’d scored four goals, but let in eight. No one had shone. There was no sign of the “system” of which Ramsey had spoken. Charlton and Greaves, once so prolific, had done nothing. England would play six more games before 1963 was out. They’d win them all. Charlton and Greaves would produce every single time. Between May and November, it would be played 6, won 6, for 28, against 8. What happened? Greaves happened… a run of two goals in eight internationals was followed with one of eight goals in five. It would be his last real burst of scoring for England. He wouldn’t have Bobby Smith to play alongside after that. Smith had scored 13 goals in his fifteen internationals and he and Greaves scored 31 times in their 13 games together. In the 4-0 win over Wales in October, Bobby Charlton’s goal took him to the all-time England scoring record, overtaking Nat Lofthouse and Tom Finney with a total of 31. Greaves was on 25 by then, but although he’d end up with 44, not a single one of the additional goals would make a meaningful difference for England. Charlton’s would kick-start the World Cup, and he’d score more important goals in the ’68 European Championship. But in November 1963, with only two full years to put together a team for the World Cup, Ramsey’s England was little more than Winterbottom’s, flywheeling on. No new “system” and few new players. It would all change in 1964. Ramsey had been to watch West Ham, and he’d found a new centre-forward, one good enough to become a legend.. But if it was a matter of repeating the 9-3 heroics of 1961, Ramsey could claim to have fallen only one goal short, ending the year with an 8-3 against Northern Ireland. Will those of you in the Catholic seats clap your hands? Because England have only the one World Cup to their name, there’s a tendency to exaggerate how far behind the best we’ve been since the end of the Second World War. It’s exaggerated because England’s greatest sides have always peaked in between tournaments – the 46-49 side being the principal victims. But sometimes far worse things than bad timing have placed a truly world-class England side in obscurity. Look at these statistics from the second half of the 1950s. 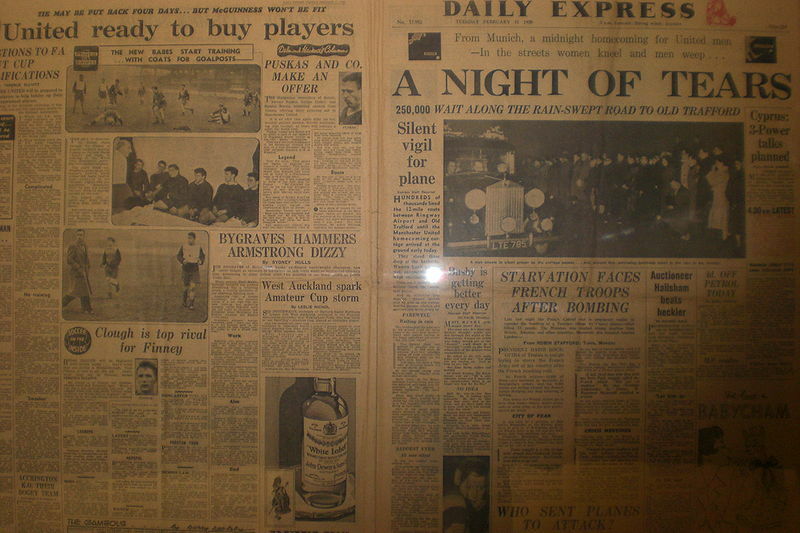 On 6 February 1958, Manchester United’s aircraft bringing them home from Yugoslavia crashed at Munich Airport, killing – amongst many others – England back Roger Byrne, England midfielder Duncan Edwards and England centre forward Tommy Taylor. So much is said about the Busby Babes that this side of the accident is lost. In essence, the the heart was torn out of one of the most successful England sides of modern times. Manchester United took five years to recover. 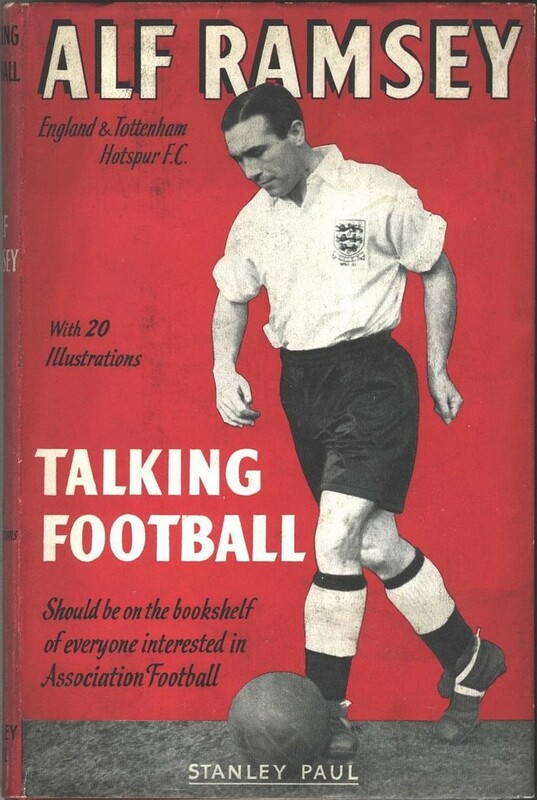 England had to await the emergence of Jimmy Greaves.. star of another mispeaking England side.